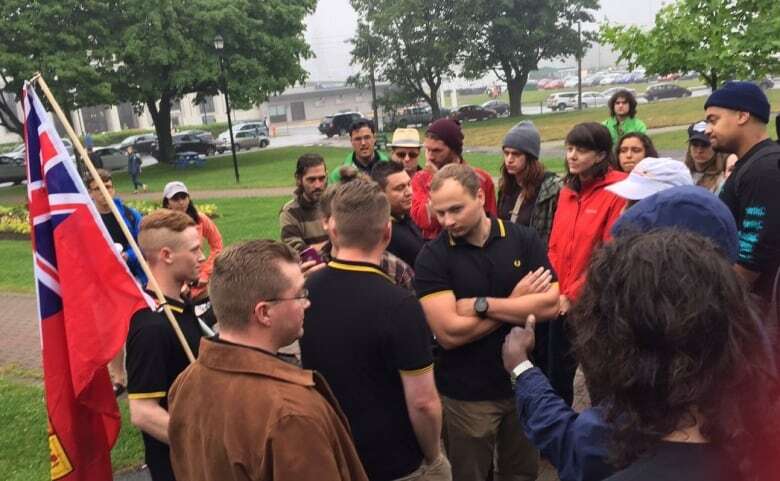 A spokesperson for the military has confirmed that two members of the navy were involved in a confrontation at an Indigenous ceremony in Halifax on Canada Day. 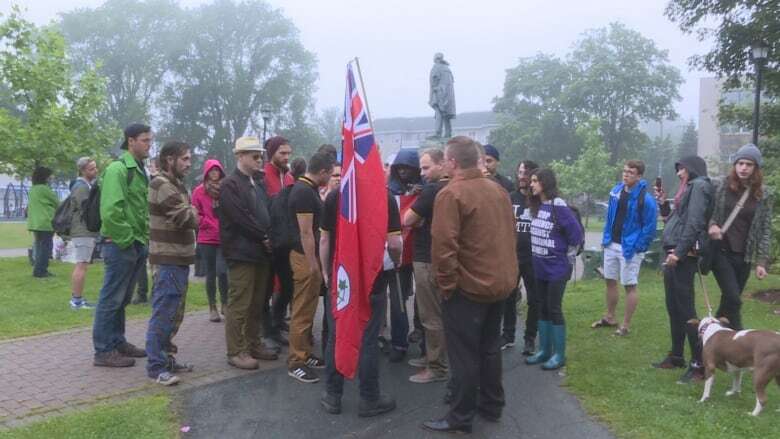 The servicemen are alleged to be among five men who showed up at a ceremony around a statue of Halifax's controversial founder on Saturday. Organizer Rebecca Moore said dozens of people were gathered around the statue of Edward Cornwallis as British Columbia-native Chief Grizzly Mamma shaved her head in a ceremony to mourn the atrocities committed against Indigenous Peoples. Cornwallis, as governor of Nova Scotia, founded Halifax in 1749. Soon after, he issued a bounty on Mi'kmaq scalps in response to an attack on colonists. The group of men were clad in black polo shirts with yellow piping — one of them carrying a Red Ensign flag — as they approached singing God Save the Queen, said Moore. The Canadian Red Ensign, which bears the Union Jack in the corner, was the national flag until it was replaced by the Maple Leaf design in 1965. Moore said Chief Grizzly Mamma was in the middle of prayer when the men started approaching. "While we're in ceremony, we're still being oppressed," she said in an interview Monday. "We were mourning for all of our people that have died and they came to disrespect us and dishonour us." A YouTube video of the incident shows viewers at the event engaging in a brief discussion with the men, during which one of them says they are recognizing Canada's heritage as a British colony. Asked if the group is associated with an organization, one of the men says, "The Proud Boys, Maritime chapter." The Proud Boys Canadian Chapters Facebook page says they are "a fraternal organization of Western Chauvinists who will no longer apologize for creating the modern world," and do not discriminate on the basis of race or sexuality. The page shared a link to a CBC News article about Saturday's incident with the caption: "Black and yellow polo shirts resisting the disrespect to General Cornwallis." Kelly MacNeil, who witnessed the interaction, said the men kept their voices down as the ceremony continued and left after about 10 minutes with little incident. National Defence spokesperson Daniel LeBouthillier said two members of the Royal Canadian Navy have been linked to the incident, but couldn't say which two. "The strength of the Defence Team stems from the diversity of our members, underscoring the importance that EVERY person be treated with respect," LeBouthillier said in an email. "We are quite seized by the matter and are looking into this further."